Imagine a dark winter evening. Putting on woolen socks and light a fire in the stove. The cold wind howls outside, and it crackles pleasantly from the logs. Soon it spreads a lovely warmth and the soft glow creates a pleasantly calmness in the room. You lean back and relax. Ever since man learned to tame fire, it has been a symbol of security. We have let it heat our homes and it has become a natural focal point for the community. Although we today can heat our houses in much simpler way, the fire's still the place safe and gives a homely feeling. And when using a stove it can also be a part of warming, which lowers your costs while raising the mood. We love the cast iron material. Firstly it is a very beautiful material, but it is also durable and resistant, adapted to extreme changes in temperature and an efficient heat conductor with fast heating and long cooling times. It is also part of our heritage as Swedish iron art has a history spanning more than 500 years. On Keddy we make our stoves with cast iron core. With the highest quality materials we create effective and reliable heat sources, and we also give you a 20 year warranty. Typically Keddy. For us, design is more than a beautiful form. It is as much about getting the most heat out of each wooden log and to make it easy for you. 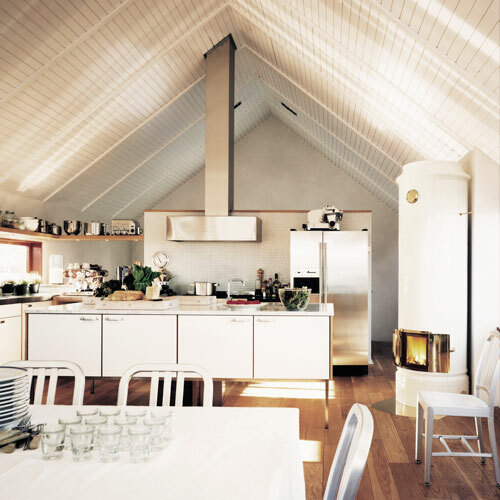 Because stoves are a both practical and a decorative interior detail. All elements must interact for the results to be the best. 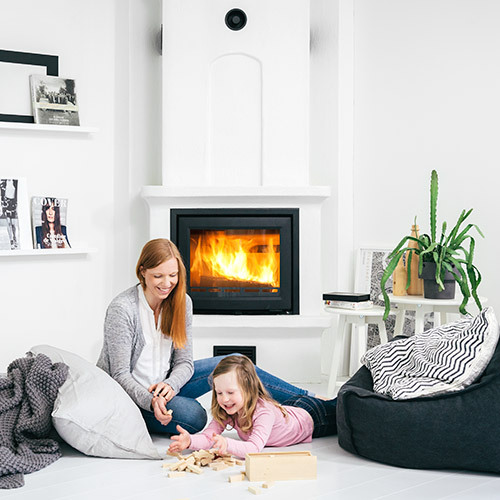 By combining modern design, innovative technology and Swedish cast iron tradition we create fireplaces unlike any other. A stove from Keddy warms both your body and your mind. Our fireplaces are not like the others. The fact that we give you a 20 year guarantee on all cast iron parts shows how strong belief we have in the material and products. When you buy a stove,it should be a product that is made to last. That hold the wear and tear of time. That stands up and spread their heat year after year, just like the cast iron has always done. We are simply not an ordinary stove manufacturers. We put heart and soul into our stoves. Not that it should be easy, but for it to be genuine and sustainable, with consideration for people and the environment. That is why it is something special with a fireplace by Keddy. 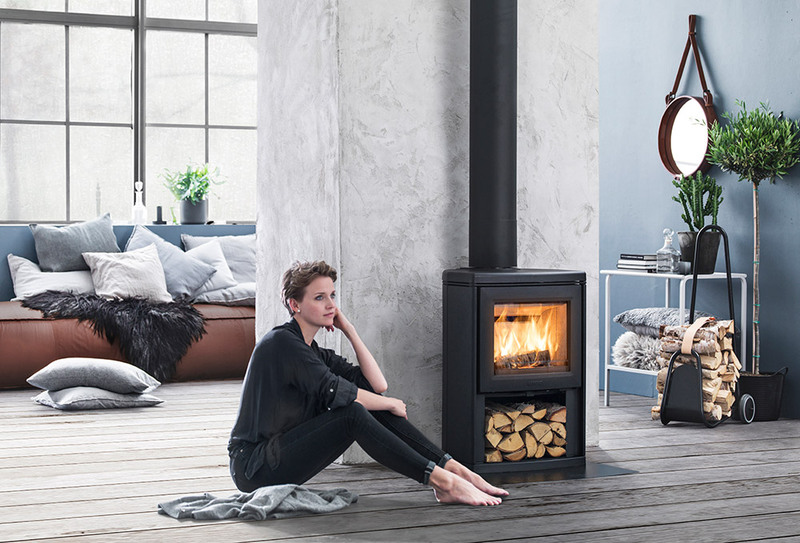 With Swedish cast iron tradition and innovative design as a starting point, we have developed stoves that sets a new standard for fireplaces. 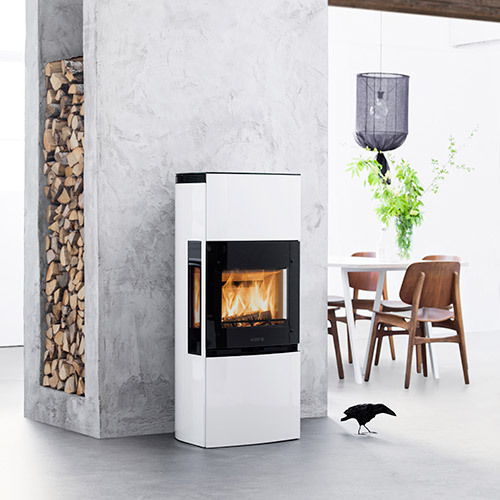 New technologies such as self-closing doors is just one of the reasons that we are proud that it says Keddy these stoves. A modern interpretation of the fireplace. So we look at our masonry stoves. And probably you too, when you notice how the big iron doors provide a greater experience of the fire no matter where in the room you are. At the same time, the high impact of our masonry stoves to reliable sources of heat. Our tile stoves preserves the classic design dating from the 1700s, but introduces a lot of new thinking on the inside. The result is an impressive 86 percent efficiency and warmth that stays up to 24 hours after you fired.